To evolve our paper cups and supporting services, we encourage the individual involvement of customers and Benders’ employees in every project. Combining our team-based organisational structure with closeness to our markets means our innovation processes deliver cutting edge, technical and practical solutions. Put simply, we supply exciting products that really work. 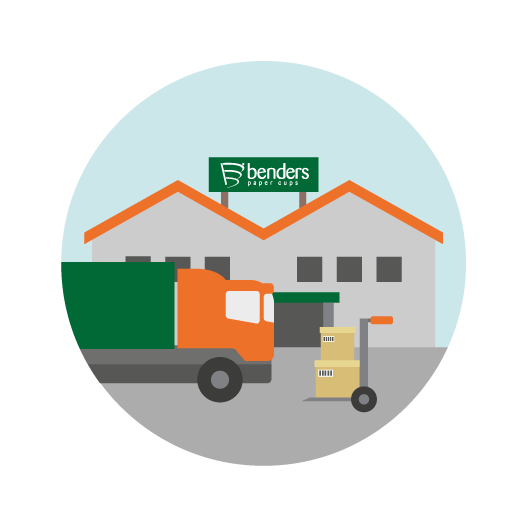 Culture is a way of living, and at Benders paper cups every employee has the opportunity to impact all areas and processes within the business, and is encouraged to use initiative to act in the interest of our customers. This is made possible by our open culture, allowing access to all areas of expertise within the organisation for every project. Talking to our people regularly, listening to them, and valuing them are key to productivity and staff retention at Benders. People are at the core of our business, our culture and our values. To manage and support them effectively, we promote policies that focus on equality and diversity, health and safety, and a code of ethical conduct. Development of our workforce is founded on having an open workplace, where ideas and information can be readily communicated. We pay particular attention to motivating our people to perform at peak by recognising their achievements and rewarding them appropriately. These principles apply to all employees, wherever they are, and whatever their role. Become part of something special and join the Benders team.